Even though the seasons have shifted, I still love making my soups and stews. Most of my recipes take between 10-15 minutes and really require minimal effort. If you prep your foods on a Sunday to cut back on cooking time for the week ahead, you simply have to simmer your chopped veggies, water, and seasonings to make a pleasant soup. 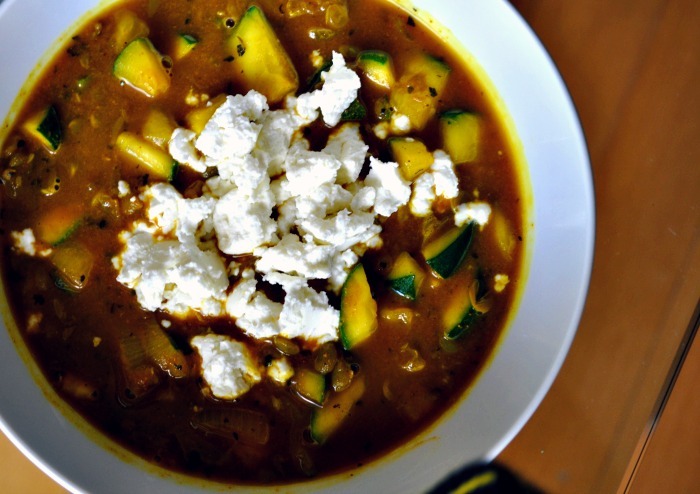 This recipe contains one of my favorite veggies, zucchini. The abundant health benefits of zucchini are saturated even in the broth from letting the soup mixture simmer for 15 minutes. Every bite counts! Zucchini is packed with Vitamin A which is vital for our eyesight, immune system and skin health. Zucchini is also a great food to include in an anti-inflammatory diet because of its high value of antioxidants. Other vitamins and minerals found in zucchini include an array of b-vitamins, including folate, and potassium. 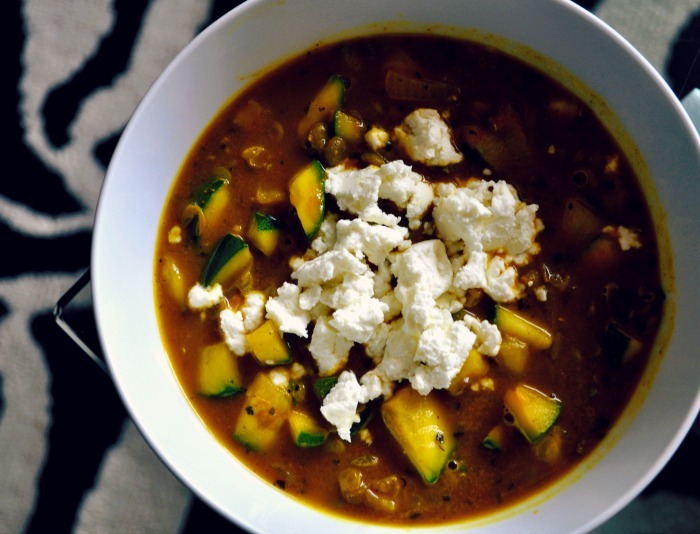 Now I know you want to make this gluten free and vegetarian soup so you can experience all these zucchini benefits! Spoon into bowls, top with sprinkled goat cheese, and serve! You can have a biiiig bowl of zucchini stew for lunch, or have a serving of this soup for dinner with a wilted kale salad.